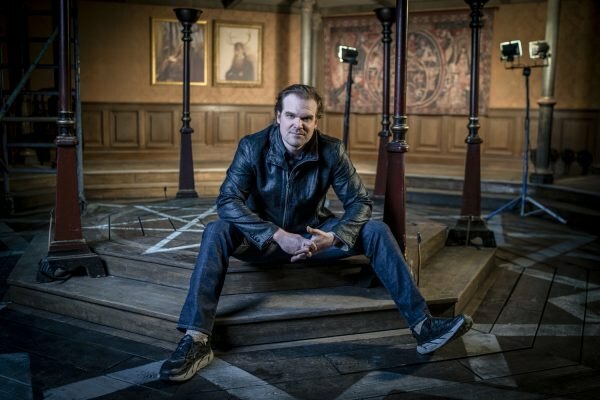 David Harbour watched the 1981 Steven Spielberg movie, ‘Raiders of the Lost Ark 13 times and binge-watching the popular TV show a ‘Knight Rider’ was one of his favorite pass time. He always keeps the fire burning in his own ways. When he tells you he wanted to be an actor at the age 5, he means it. David Harbour started his acting career with the Broadway revival of ‘The Rainmaker.’ His TV debut was a supporting role in an episode of the 1999 TV series ‘Law and Order.’ In 2004, Harbour debuted on the big screen with the American biopic ‘Kinsey.’ Movies like ‘Confess,’ ‘Brokeback Mountain’ and ‘War of the Worlds,’ and ‘Who’s Afraid of Virginia Woolf’ followed. Sam Mendes’ drama film, ‘Revolutionary Road’ laid the foundation of his sprawling career in Hollywood. The movie, apart from being Harbour’s biggest commercial success, was nominated for several awards including three Oscars. In 2008, Harbour played a significant role in Bond vehicle, ‘Quantum of Solace.’ There’s a number of TV shows to his credit, which includes ‘The Newsroom’, ‘Manhattan’ and ‘State of Affairs.’ When he started playing an important role in Netflix’s ‘Stranger Things’ in 2016, Harbour became a household name. At this point, the question that might be circling your mind is what is the next David Harbour movie and TV show? Well, the good news is that we have a clear answer to that question. Here’s the list of upcoming David Harbour films/TV shows scheduled to release in 2019 and 2020. 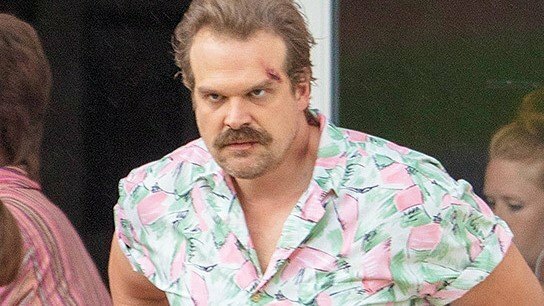 We can only hope that the latest David Harbour movies would be as good as some of his recent ones. As summer 2019 approaches, fans of Netflix’s ‘Stranger Things‘ are in more frenzy. The third season of the show which premieres on Netflix on July 4th is reportedly bigger and more colourful than the previous seasons. 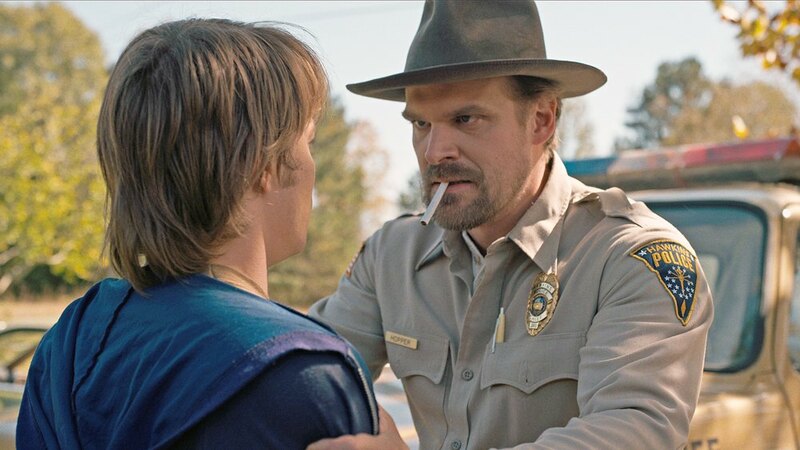 David Harbour reprises his popular role of Chief Jim Hopper in the upcoming season. The other cast members include Millie Bobbie Brown, Finn Wolfhard, Gaten Matarazzo, Caleb McLaughlin, Noah Schnapp, Winona Ryder, Joe Keery, Natalia Dyer, Dacre Montgomery, and Priah Ferguson, and featuring Jake Busey, Cary Elwes, Maya Hawke, and Francesca Reale. The recently released trailer of season 3 hints at the plot that revolves around the mysterious disappearance of a young boy. Created by Matt Duffer and Ross Duffer, the series takes us to the mystery behind the disappearance. The boy goes missing without a trace while returning home after a night of playing Dungeons and Dragons with his 3 friends. He leaves behind a mysterious little girl with a shaved head. The huge popularity of the show prompted Netflix to go for a third round. ‘Hellboy’ is director Neil Marshall’s new adaptation of the Dark Horse comics. The movie has David Harbour as the titular Hellboy, with Milla Jovovich as Nimue, the Blood Queen, Ian McShane as Bruttenholm, boss of the Bureau for Paranormal Research and Defense (BPRD), and Dae Kim as Ben Daimio. The trailers of the movie show a London under siege of paranormal forces. Habour’s Hellboy battles a 5th-century witch, played by Milla Jovovich, who has deadly powers to end the civilization. Besides fighting off the witch and a slew of giant creatures of darkness, Hellboy has to deal with his sparring colleague Ben Daimo and take care of his adoptive dad. 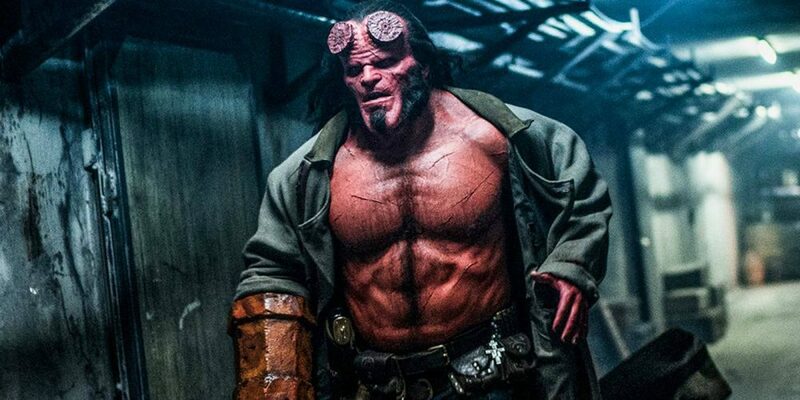 Even though the movie is based on the Dark Horse comics, it owes a great deal in terms and prosthetic and setting to the critically acclaimed Hellboy movies, ‘Hellboy’ and ‘Hellboy: The Golden Army,’ directed by Academy Award winner Guillermo del Toro and starring the legendary Ron Perlman as Hellboy. Guillermo del Toro started the project as a sequel to finish his ‘Hellboy’ trilogy. But he backed up with lead actor Ron Perelman and the project reached Neil Marshall and Harbour. They decided to make it a full-fledged reboot instead of a sequel. ‘Hellboy’ hits theaters on April 12, 2019. Stunt coordinator Sam Hargrave, who was a stunt double for ‘Captain America‘ star Chris Evans, makes his directorial debut with the action thriller ‘Dhaka.’ The movie follows a kidnapping and rescue operation across international borders and waters. Harbour plays a mercenary with a hidden agenda in the movie opposite Chris Hemsworth’s baddie. The action thriller is produced by Joe and Anthony Russo for Netflix. According to reports, ‘Dhaka’ centers on a young boy who becomes the focus point of a stand-off between two notorious drug lords. The kidnappers trap the boy in the underbelly of one of the world’s most chaotic metropolis. The boy’s father is an Indian businessman who searches for a daredevil mercenary to penetrate the trap. He eventually zeroes in on Rake, played by Hemsworth, a broken man with a death wish. 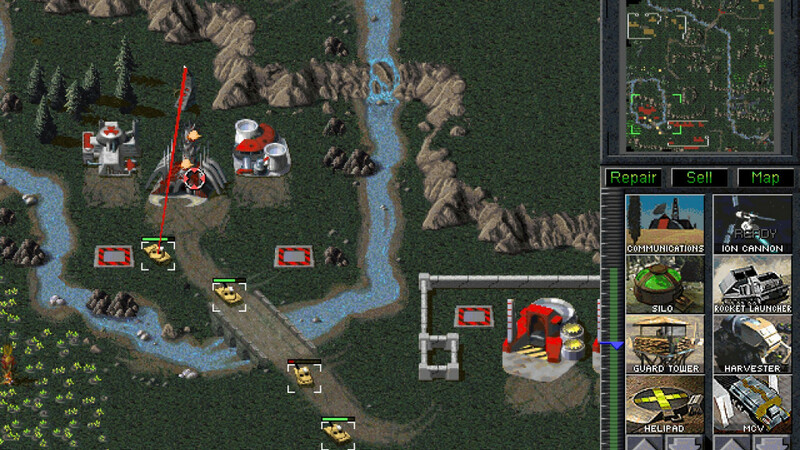 Harbour plays another mercenary, who joins the mission with a hidden motive. ‘Dhaka,’ which is written by Joe Russo, is shot in the exotic locales of India and Indonesia. ‘Black Widow’ is an origin story and stand-alone feature of Scarlett Johansson’s ex-KGB character from ‘Iron Man,’ ‘Captain America’ and ‘Avengers’.’ Marvel gives an exclusive flick for the adventures of the Russian spy, Natasha Romanoff aka ‘Black Widow.’ According to reports, the plot of the movie traces back to the events before ‘Iron Man 2,’ in which Black Widow has been introduced to the Marvel Cinematic Universe as a Stark Industries assistant and SHIELD plant. But the movie is set after the events of ‘Captain Marvel,’ which helped to set up SHIELD in the first place. Hence, ‘Black Widow’ acts as a bridge connecting the timelines of ‘Iron Man 2’ and ‘Captain America.’ The movie features an ensemble cast including Scarlett Johansson, Florence Pugh, Rachel Weisz, and David Harbour. ‘Black Widow’ is directed by the Australian filmmaker Cate Shortland.